Complete online application and submit all required supporting documentation. Submit school records, standardized testing results, release forms, confidential recommendation forms, health forms, passport copy, and other forms displayed on your application checklist in your online application account. Priority given to applications completed by April 30. 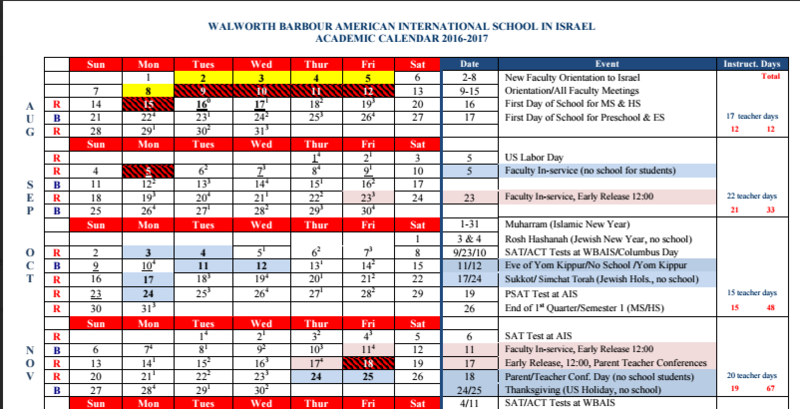 For children who have special needs (Special Education): WBAIS accepts students with mild learning disabilities who meet the above admissions criteria and whose needs can be accommodated within the context and resources of WBAIS. 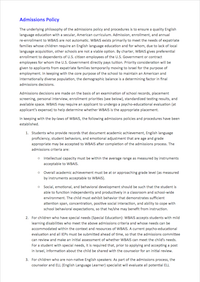 A current psycho-educational evaluation and all IEPs must be submitted ahead of time so that the admissions committee can review and make an initial assessment of whether WBAIS can meet the child’s needs. 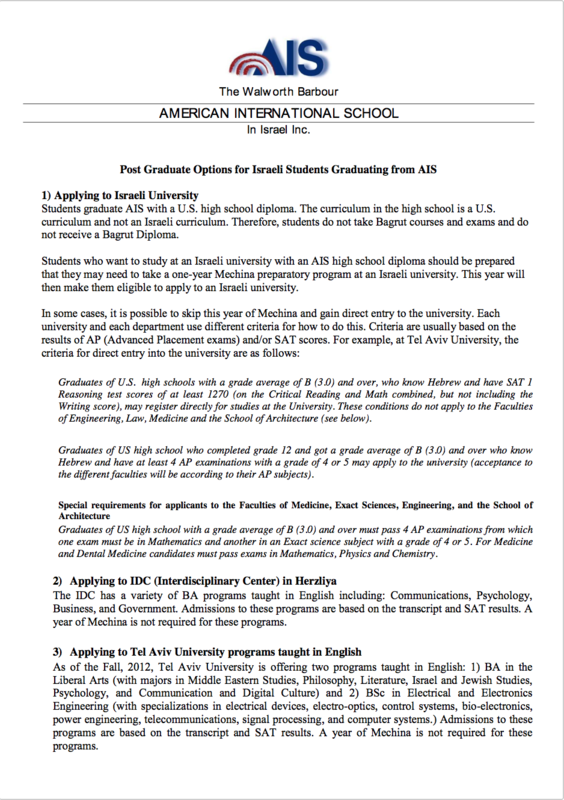 For a student with special needs, it is required that prior to applying and accepting a post in Israel, information about the child be shared with the counselor for an initial review. This is to be paid personally or billed directly to your employer. 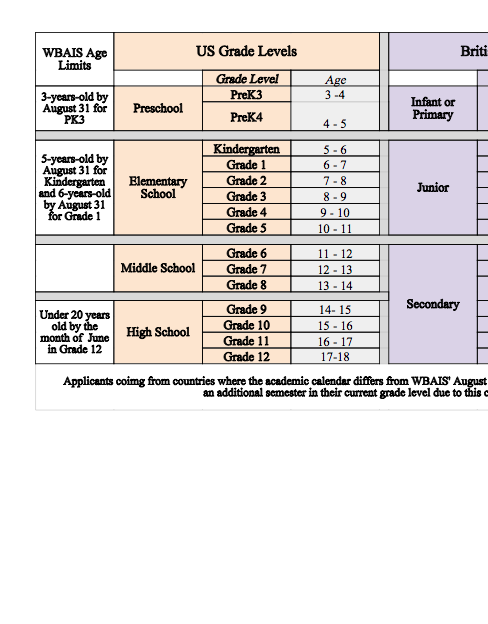 Those students who pass the initial admissions review process will be invited for an placement screening at WBAIS. Appointments are available between April 1 - June 15 and August 3 - 15. 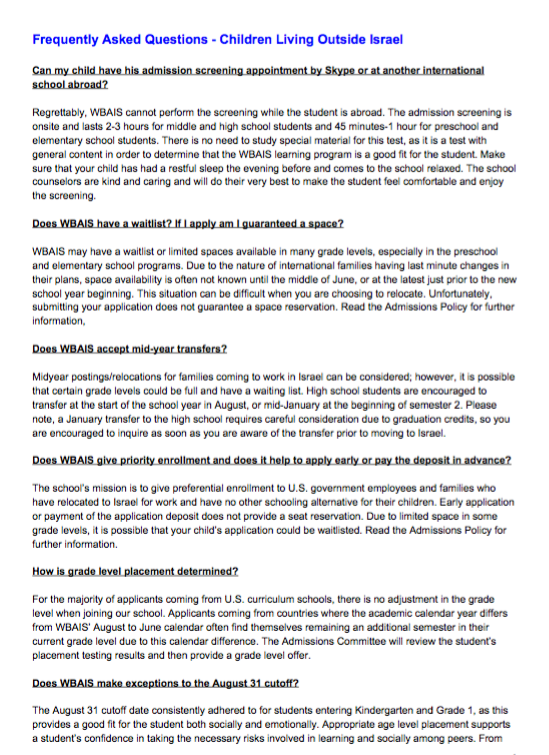 In keeping with the admissions policy, some students may not be invited for a screening after the initial admissions review process. Admissions decisions are made on the basis of an examination of school records, placement screening, personal interview, standardized testing results, available space, and in keeping with our Admissions Policy. The completed application and screening results will be reviewed by our Admissions Reviewer/Committee. Once the review is complete you will receive notification of your child’s status whether admitted or declined.